Posted in Landscape and tagged hiking, pipe track, sea on Wednesday, 30 January, 2013 by Paul. Posted in Landscape and tagged flora, trees on Saturday, 8 December, 2012 by Paul. 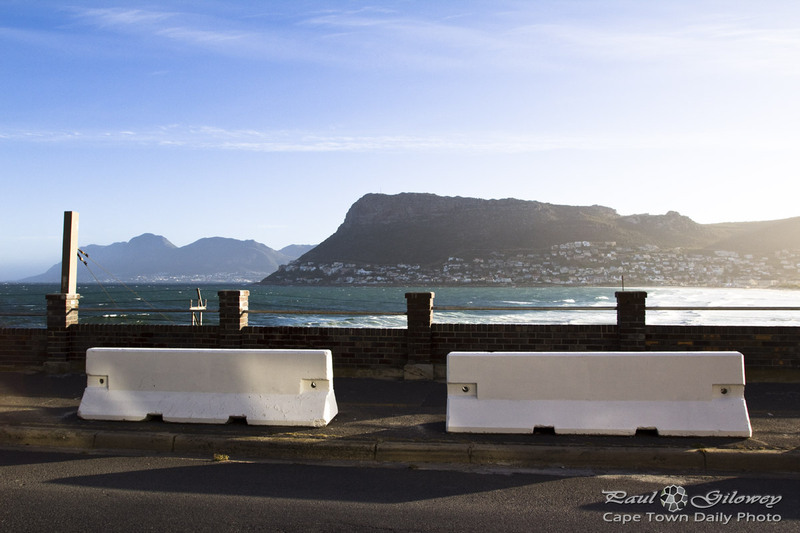 I took this photo while heading from Simon's Town to Kalk Bay. The small town that you see closest in the photo is known as Fish Hoek, and the one in the distance, on the left, is Simon's Town. 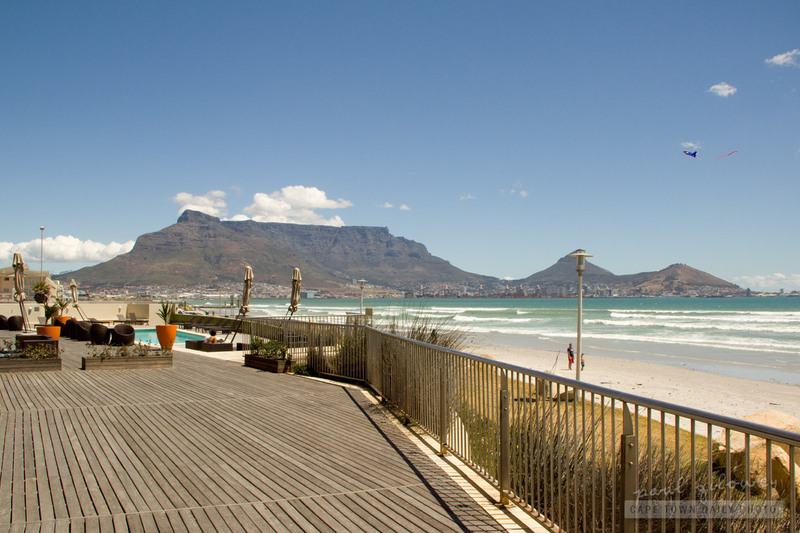 This side of the peninsula is completely different to the Atlantic Seaboard (ie. the Sea Point / Camps Bay area), and in some way reminds me of a few of the small sea-side fishing towns that we visited in Brittany, France. Posted in Landscape and tagged mountains, ocean, sea on Thursday, 1 November, 2012 by Paul. 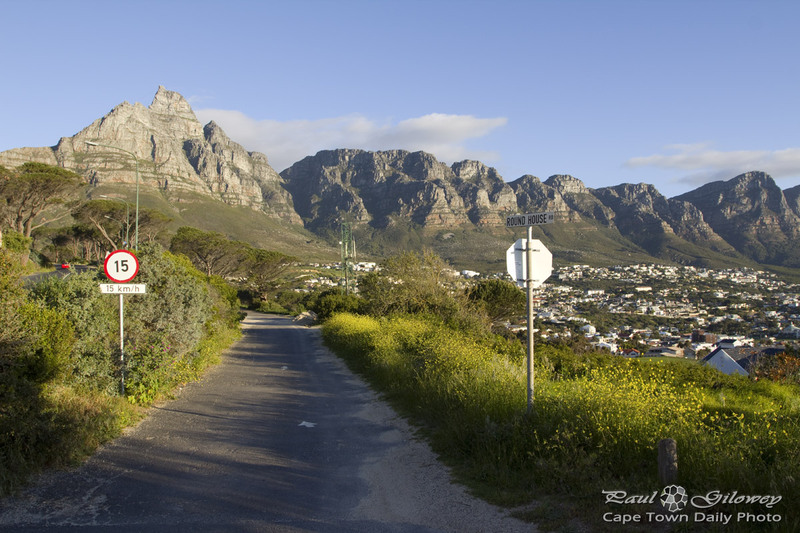 Posted in Landscape and tagged camps bay, table mountain, twelve apostles on Sunday, 14 October, 2012 by Paul. 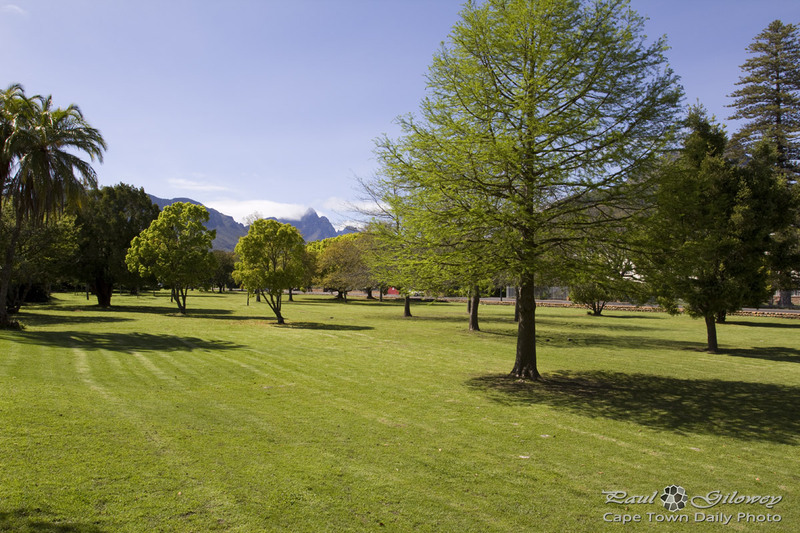 Posted in Landscape and tagged green, lawn, mountains, trees on Friday, 12 October, 2012 by Paul. Posted in Landscape and tagged dam, ducks on Friday, 28 September, 2012 by Paul. I can't recall the last time that we had a power failure. It's either been that long, or perhaps that my memory is failing. About a week back we noticed a brief flicker in the lights, almost like the last time Koeberg's one nuclear reactor shut itself down - but, the power remained, and we were happy. Calm before the storm? I'm not sure. We had a bitterly cold winter, and we survived, so perhaps our supply of energy is under control. 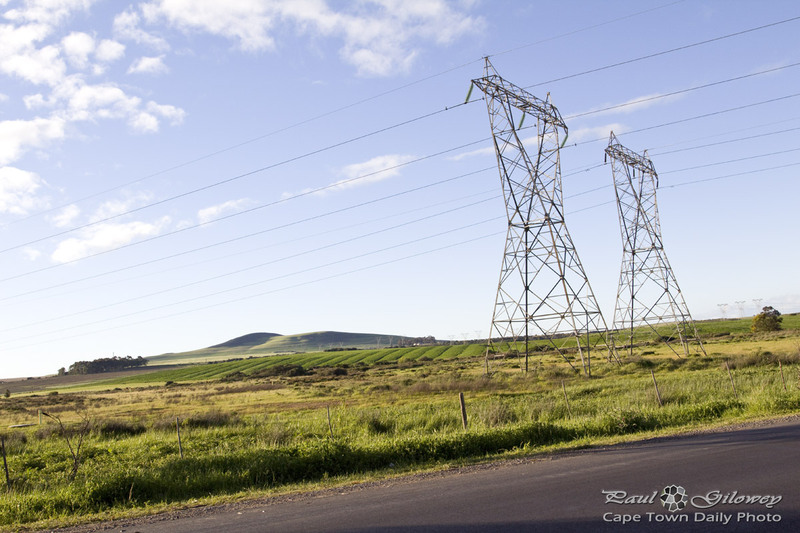 Posted in Landscape and tagged durbanville, electricity, fields, hills on Monday, 24 September, 2012 by Paul. Posted in Landscape and tagged city on Friday, 3 August, 2012 by Paul. 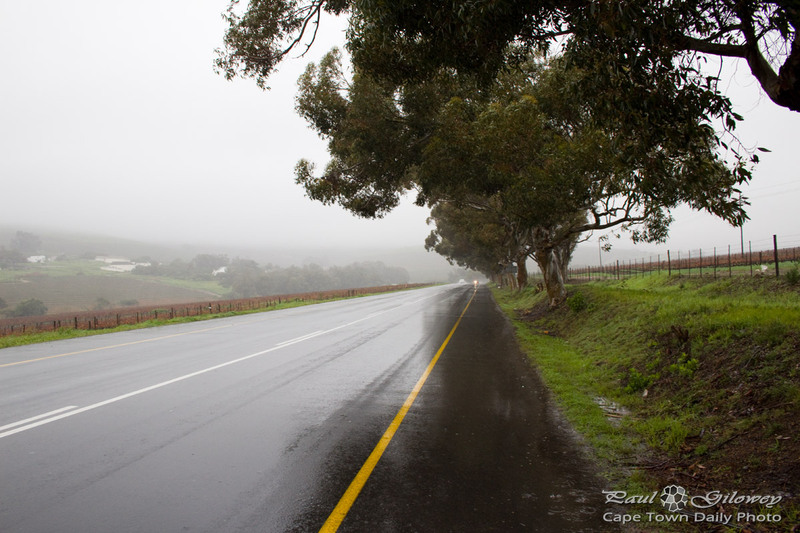 Posted in Landscape and tagged rain, roads on Tuesday, 31 July, 2012 by Paul. It was low tide, so I took a walk out onto the rocks at Three Anchor Bay. The light had already fallen off a lot, it was almost dark already, so I had to expose the photo for quite some time to get it even this bright. After spending 10 minutes out on the rocks, amidst the peaceful lapping of the waves, I realised that it was probably time to return to the promenade before the light disappeared completely and I ended up in trampling over rocks and though puddles on all-fours trying to find dry land. Winter, though chilly, can be very beautiful in Cape Town. 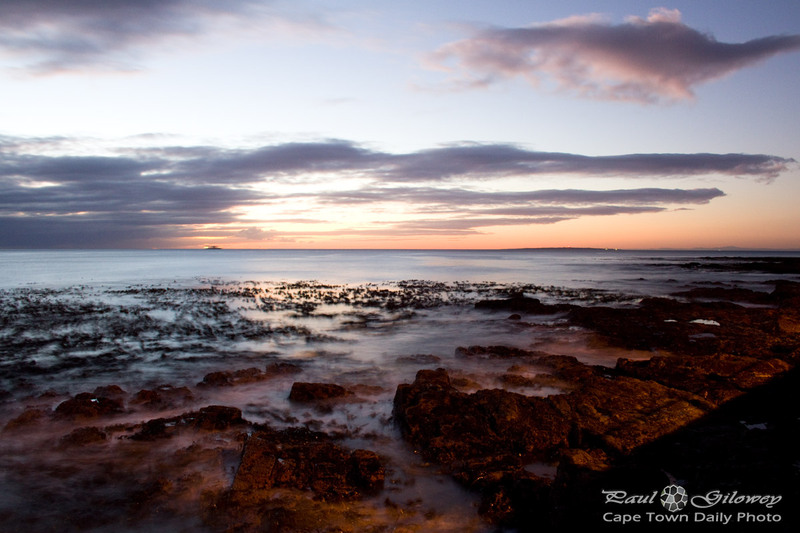 Posted in Landscape and tagged rocks, sea, sunset, three anchor bay on Sunday, 15 July, 2012 by Paul. 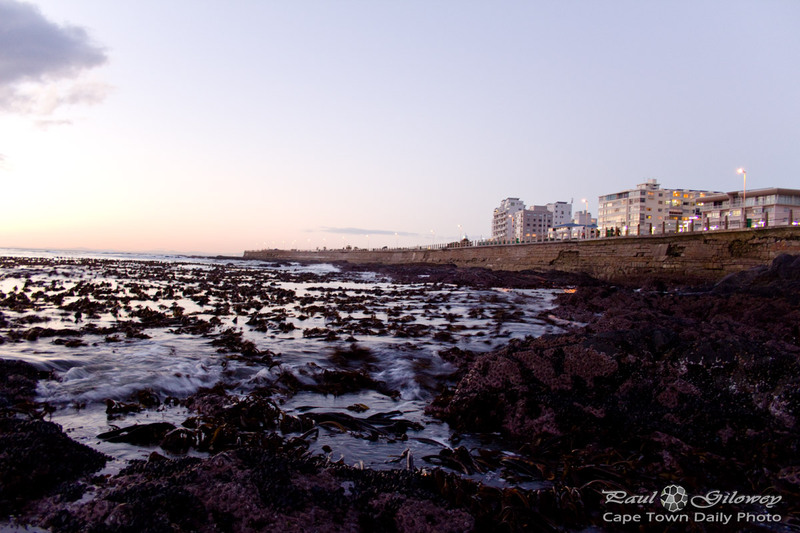 We arrived at Three Anchor Bay (next to Sea Point) about 20 minutes after sunset. Even though the day had been cold and miserable, the cool air and clouds made the sunset especially beautiful. Lovely, isn't it? Posted in Landscape and tagged sea, sunset, three anchor bay on Saturday, 14 July, 2012 by Paul. There's something nostalgic about driving in the country when it's raining and the clouds are hanging low over the fields. It was freezing cold and the car's heater was on full-throttle; the windows were misting up, and the wipers lazily whooshed backwards and forwards across the drizzled windscreen. It was beautiful. 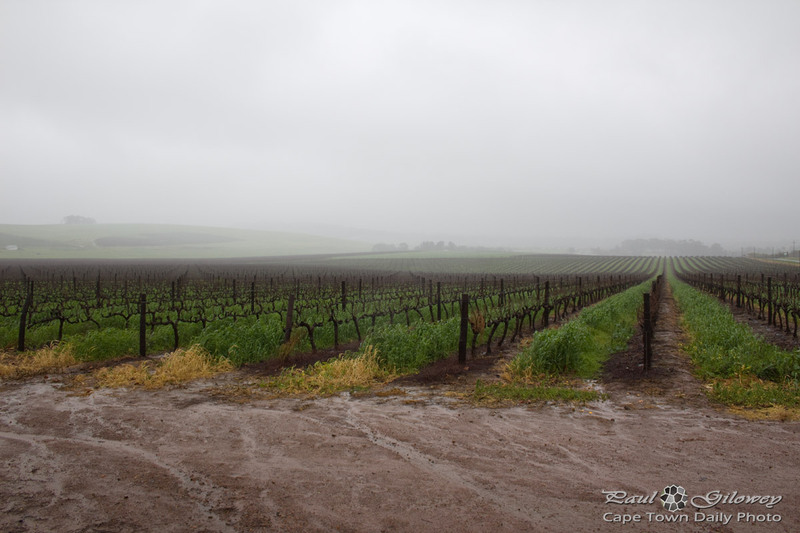 Posted in Landscape and tagged cloud, rain on Thursday, 12 July, 2012 by Paul. Posted in Landscape and tagged devil's peak, table mountain on Thursday, 21 June, 2012 by Paul. 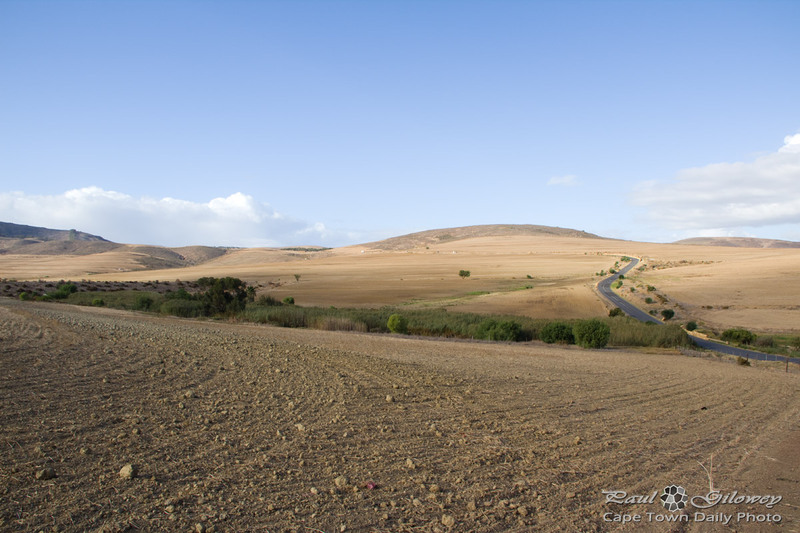 These, dear friends, are the farmlands and hills outside of Durbanville, the little suburb in which we live. 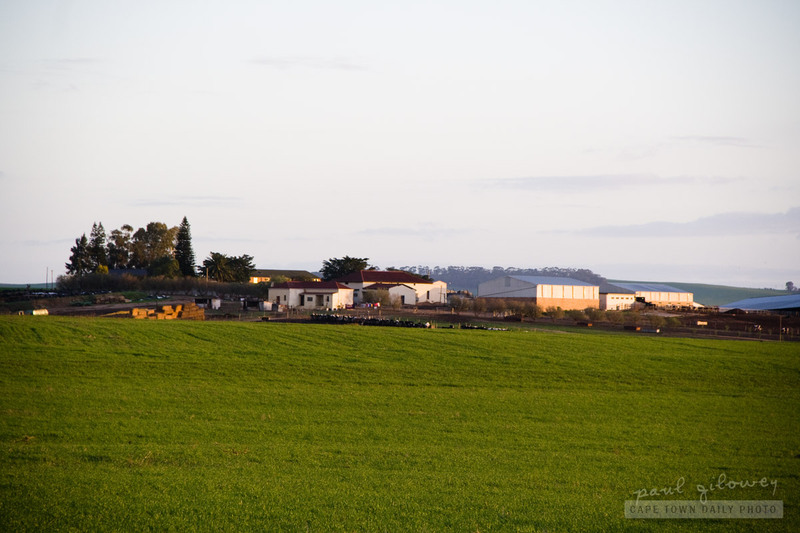 This specific photo was taken from the farmlands that (I believe) belong to Fair Cape dairies. Click on the photo to see the large version - isn't it pretty out there? 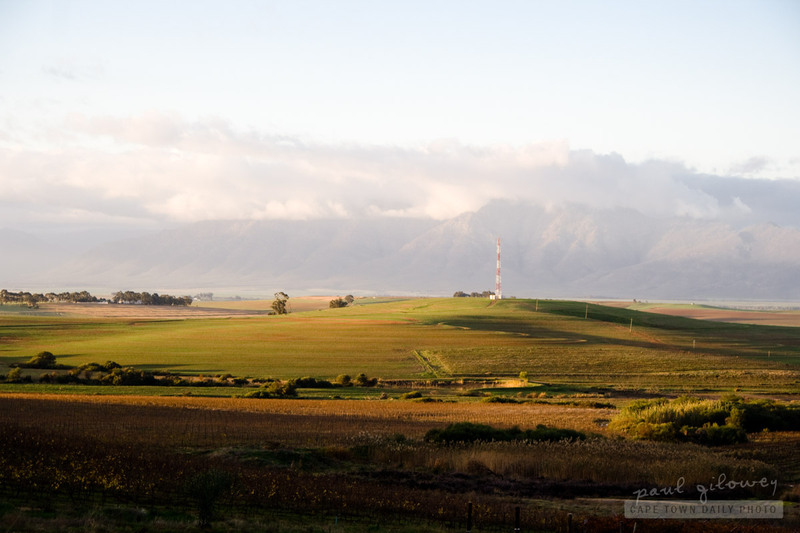 Posted in Landscape and tagged durbanville, hills, landsacpes on Thursday, 10 May, 2012 by Paul. We live in one of the most beautiful places in the world yet we so seldom break away from work long enough to unwind and enjoy what the Cape Province has to offer. So, on a whim, I scoured a few online accommodation sites and booked two nights away in Tulbagh, a small town that's a short 121 kilometers from the City (here's a route map). I took this photo at the guest house where we stayed - a rural estate about 3 kilometers outside the town. 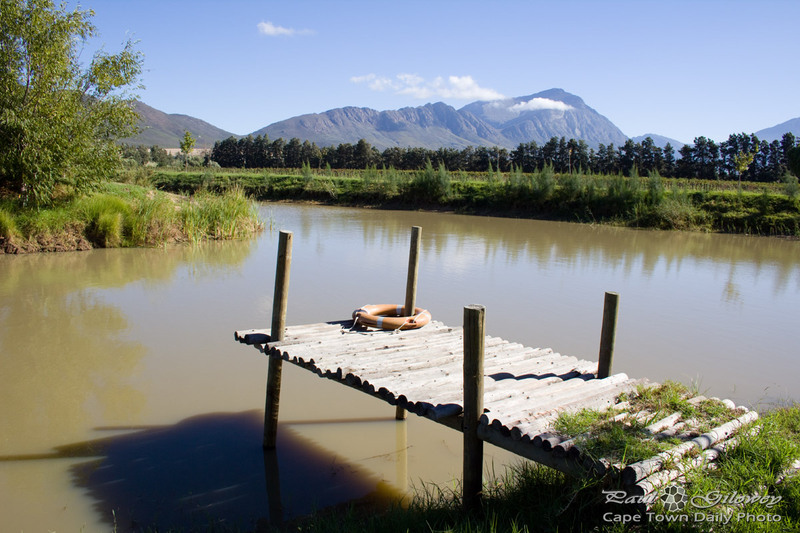 Over the next few days I'll share with you more of what we saw in and around Tulbagh. Posted in Landscape and tagged dams, jetty, mountains, tulbach on Monday, 30 April, 2012 by Paul. it is one of the oldest mountains on the planet - around 260 million years old! it is the only terrestrial feature on our planet to have a constellation named after it. The Mensa constellation was given the name Mons Mensae (the Latin name for Table Mountain) by Nicolas Louis de Lacaille in 1754.
as part of the Cape Floral Region it was named a World Heritage Site in 2004 for being one of the smallest and richest of the six floral kingdoms of the world supporting about 8,200 rare and endangered plant species. 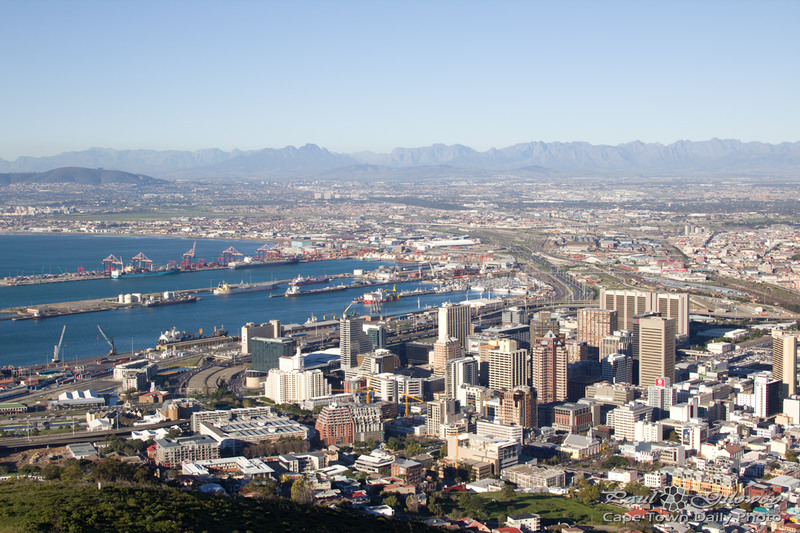 The Official New7Wonders of Nature was established to raise awareness of the diversity and beauty of nature in a hope to increase tourism and hence funding to preserve the natural beauty of landmarks like Table Mountain. 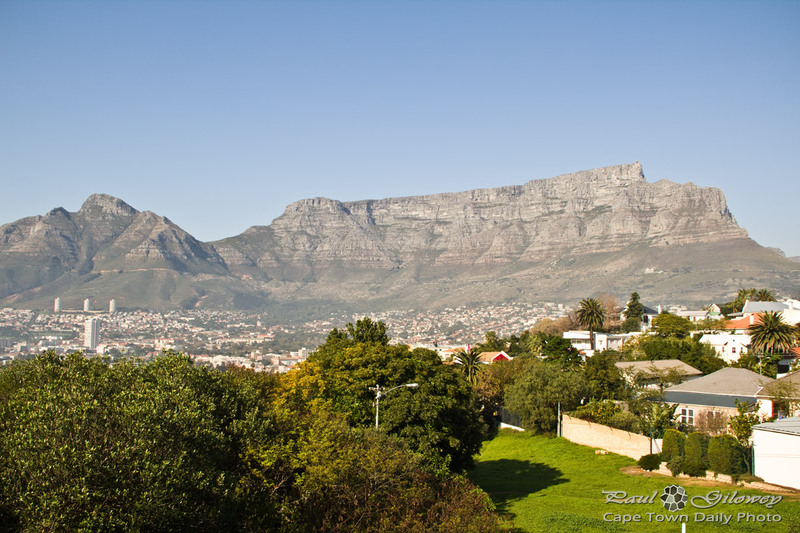 Posted in Landscape and tagged table bay, table mountain on Friday, 11 November, 2011 by Paul. If you were to reflect on your life I'm sure that you'd easily think of dozens of times that you could have made different decision and left the path that you're now on to travel another. Have you taken time to consider how different your life could have been if you, say, hadn't taken that job; or you'd grabbed that opportunity to travel abroad; or if you had stopped at that red traffic light? Wouldn't life be awfully interesting if when you reached the end of the road you had an opportunity to live it all over again? 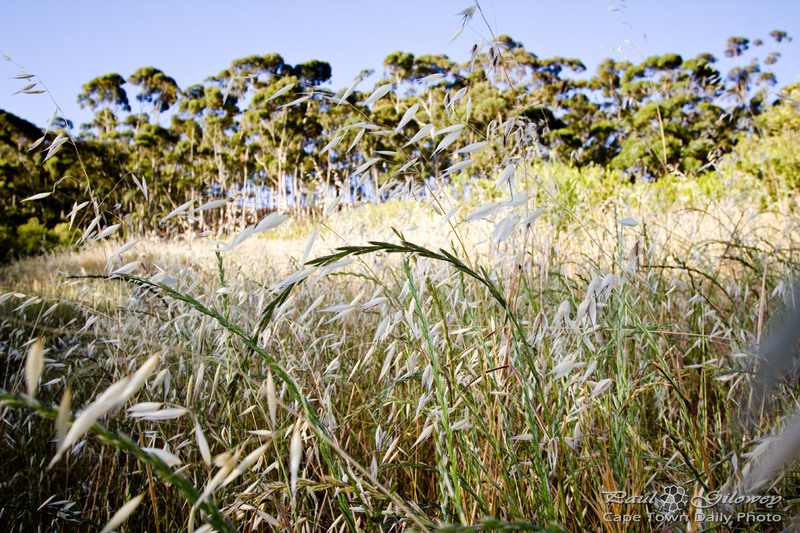 I took this photo at the Majik Forest in Durbanville. Posted in Landscape and tagged mountains, people, trees on Wednesday, 2 November, 2011 by Paul. 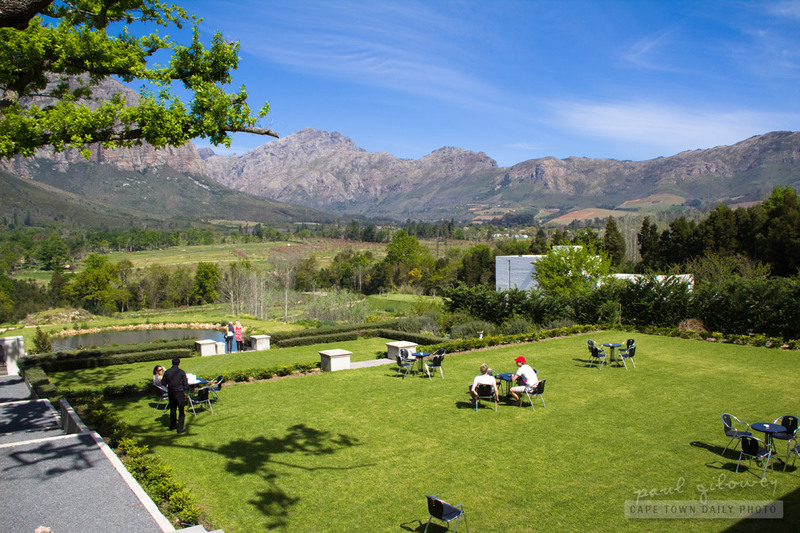 Besides for the formal inside restaurant, DeHugenot Estate, mentioned in my previous post, has an outside lawn area where one's able to get just that little bit closer to the splendor of nature. What's awesome about the experience is that (as you can see) the tables are spread fairly far apart so that you're able to enjoy the company of those at your table without the intrusion of other guests in close proximity. Posted in Landscape and tagged mountains, restaurant on Sunday, 9 October, 2011 by Paul. 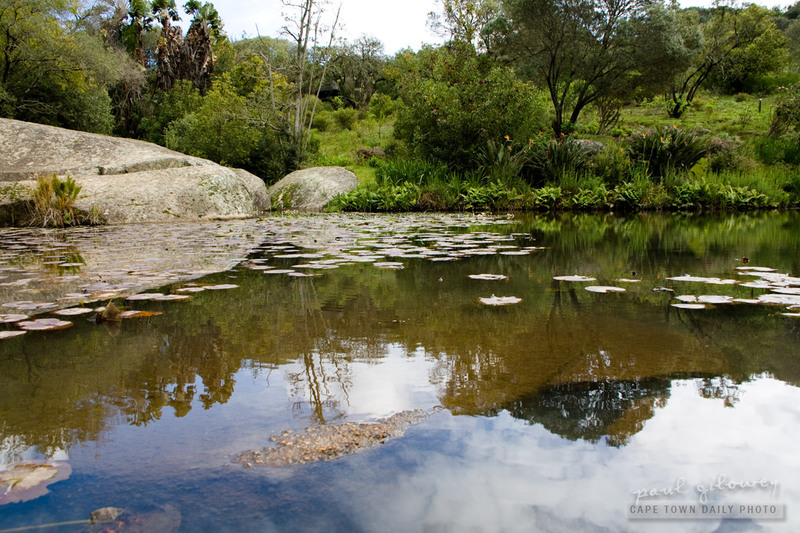 I wrote, in my previous post, about the Meulwater Wild Flower Reserve (map) just above the town of Paarl. Isn't the reflection on the water beautiful, and isn't this the perfect vista just waiting to be painted in watercolours? 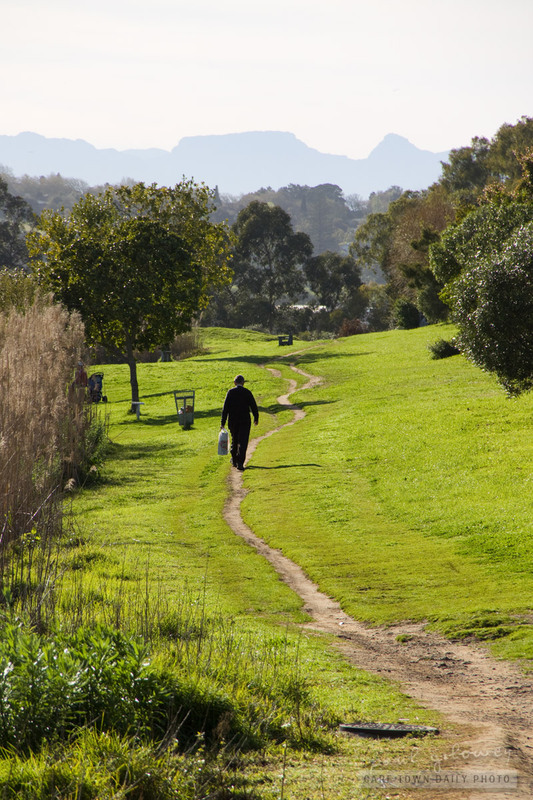 Posted in Landscape and tagged flora, green, paarl, water on Tuesday, 13 September, 2011 by Paul. 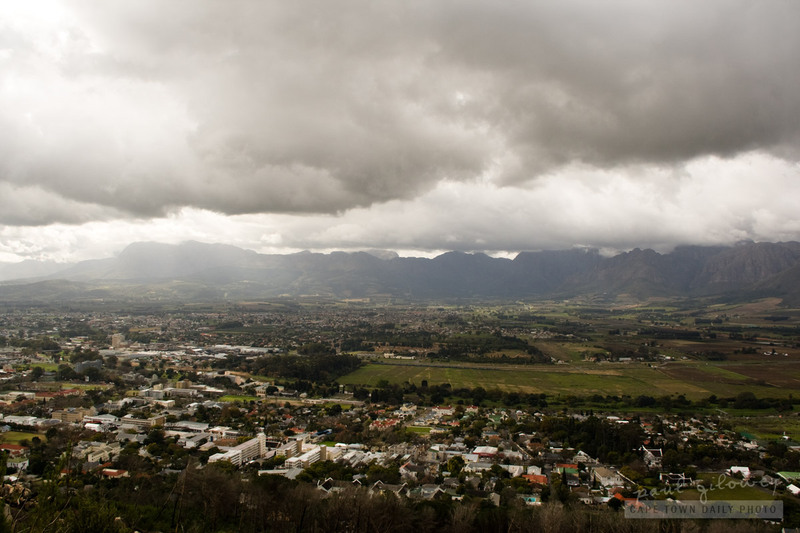 Paarl, a town of 200,000 inhabitants in the Cape Winelands, is the third oldest European settlement in South Africa. 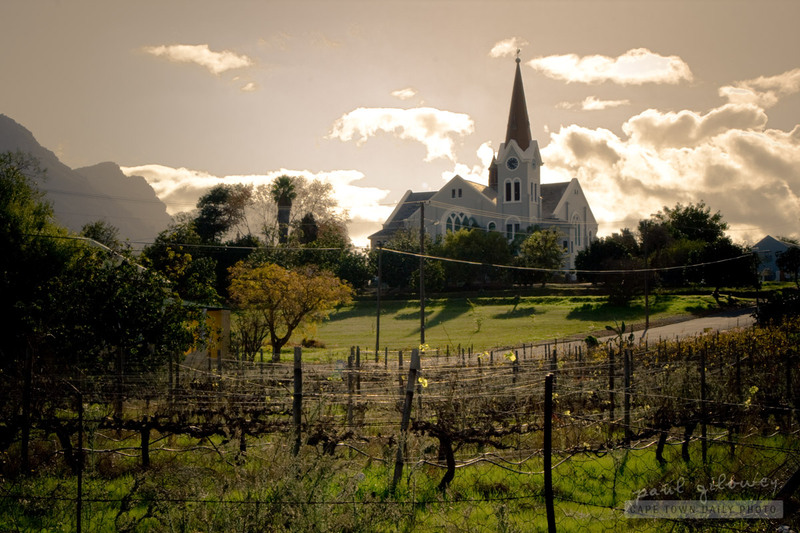 It's located about 60 kilometers from Cape Town and is known mostly for its fruit (and especially grape and wine) production. Another thing that the town will always be remembered for is that it hosts the old Victor Verster Correctional Centre - the prison where Nelson Mandela was held before his release in 1992. I remember the day that he was release - it was the day that our family was returning from our holiday in Wellington (a nearby town). I vividly remember how the national highway was lined with thousands of ANC supporters - awaiting the release of their beloved Madiba. I remember it being both exiting and scary to be in the midst of the thronging crowds. I won't forget that day. Posted in Landscape and tagged clouds, mountains on Saturday, 10 September, 2011 by Paul. It's still winter in South Africa - but based on this photo of the Camps Bay area, nobody would say so. 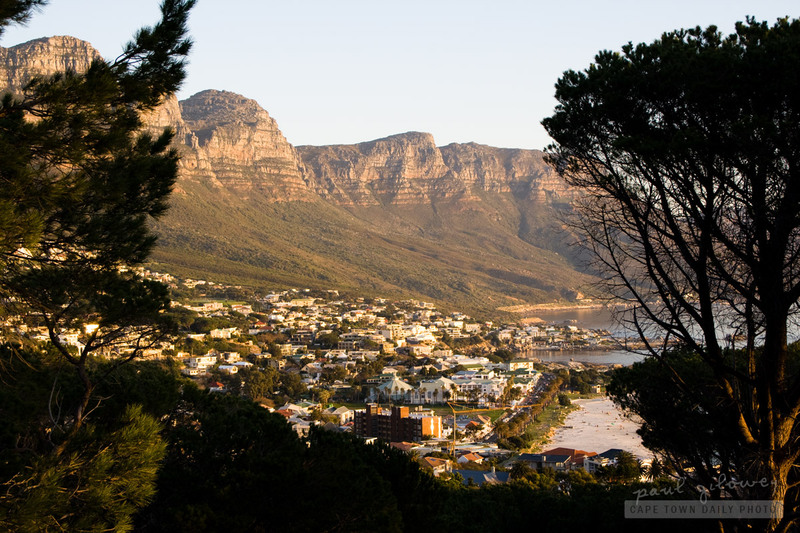 I took this shot from Kloof Road, just below where the famous Round House restaurant does business. This whole area has a huge number of short hiking trails that would be perfect as an early morning walk. I really wish that I could live in this area - besides for it being a beautiful area there would then be no excuse not to get regular exercise in the outdoors! 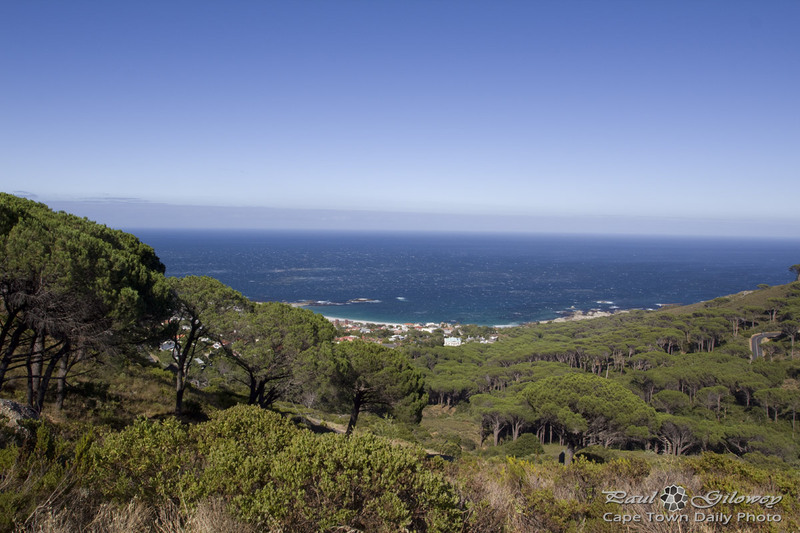 Posted in Landscape and tagged camps bay, mountains on Sunday, 28 August, 2011 by Paul. 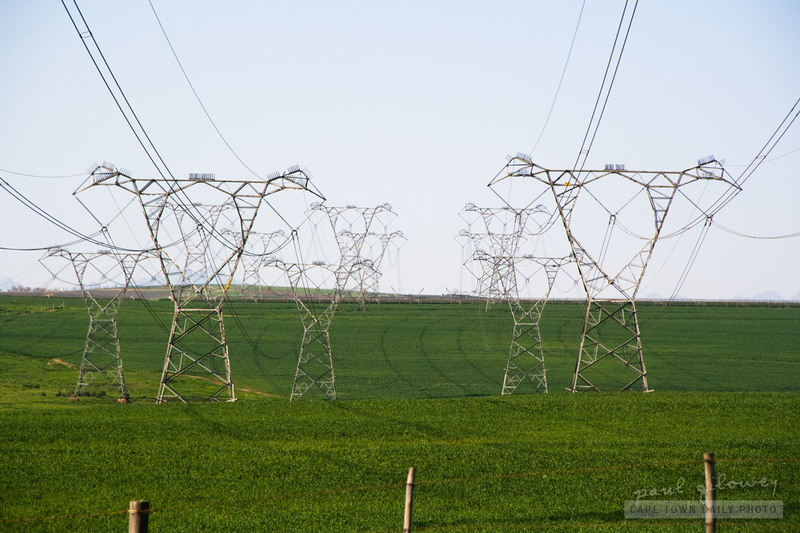 Even though most would complain that the electricity pylons obscure and even ruin the beauty of this field - yet still I find something beautiful about their form. I guess one would call it an industrial beauty. Before taking up photography I probably wouldn't have considered the possibility that electricity pylons, a symbol of the destruction of nature, could in some way be beautiful. 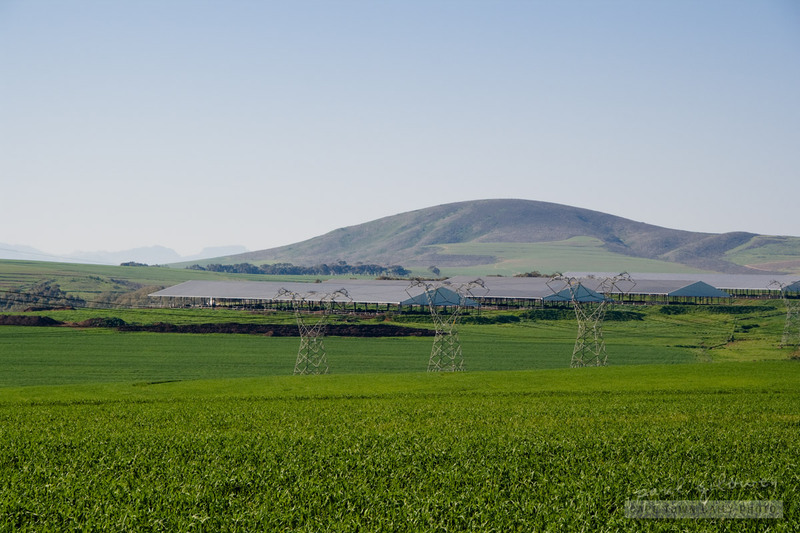 Posted in Landscape and tagged durbanville, electricity, fields, green on Sunday, 21 August, 2011 by Paul. Our household of four consists of two adults (Kerry-Anne and I) and two children (cats, Elizabeth and William). I think we're pretty conservative in terms of energy consumption and use about 700kWh's of electricity at a cost of about 700 ZAR per month. I don't think we use that much energy, but wouldn't it be great if regular households could be completely self-sufficient in terms of energy? Perhaps some day hey? How much electricity do you use each month, and how much do you pay for it. I'd be especially keen to know what you use and how much you pay for it - especially if you're from another country. 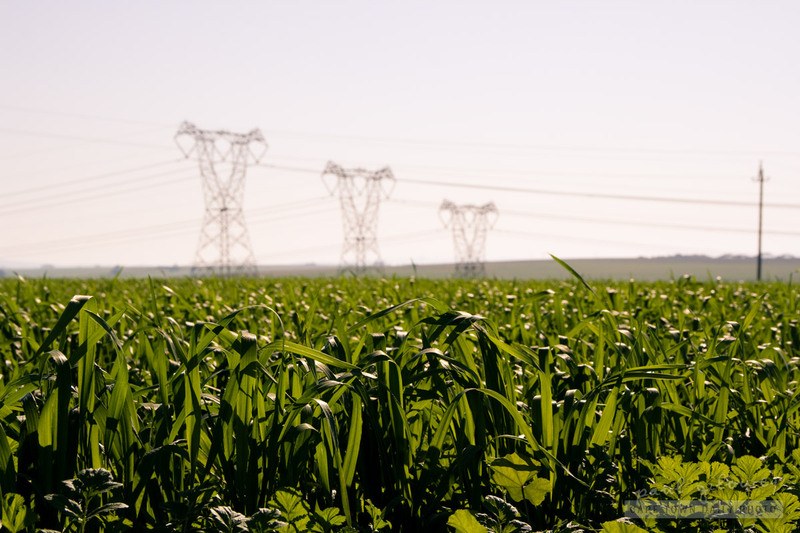 Posted in Landscape and tagged electricity, fields, green on Saturday, 20 August, 2011 by Paul. I took this photo a little way from where I found the cows lazing next to the little dam. 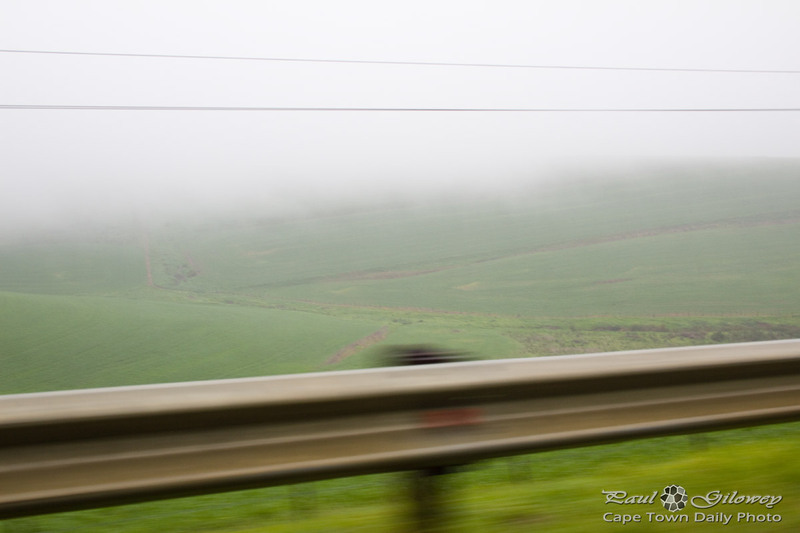 While over the road from the Kuiperskraal farm I think this may also be part of Fair Cape. Posted in Landscape and tagged fields, green, hills on Friday, 19 August, 2011 by Paul. I find it awesome that a simple invention like this has saved so many lives. 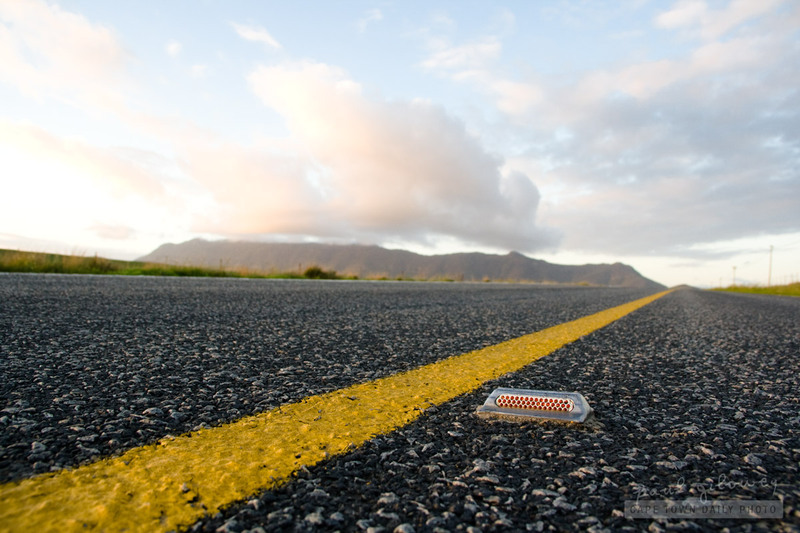 The concept of a reflective road stud being used to help guide drivers at night was invented by Percy Shaw in 1934 - and even though it's design has been improved on over the years, essentially it the same device. 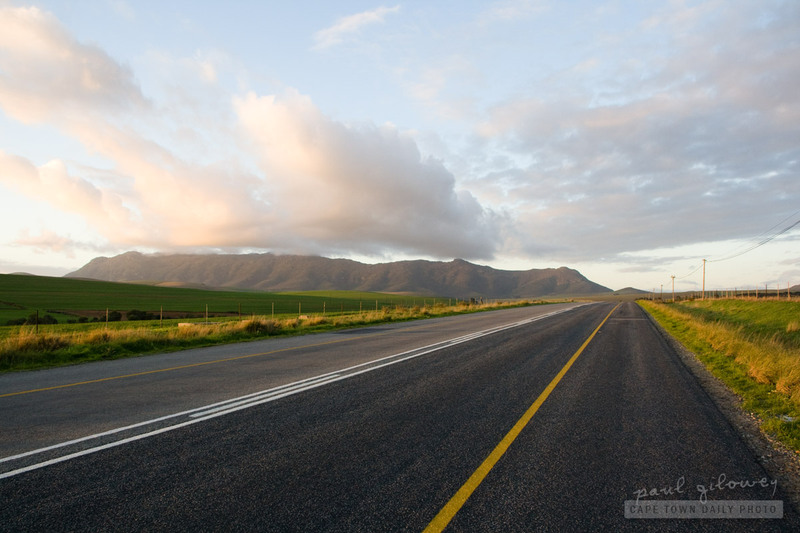 Posted in Landscape and tagged mountains, roads on Wednesday, 27 July, 2011 by Paul. I wasn't going to post this photo of the church in Riebeek Kasteel - but Kerry-Anne liked it so much that I decided that perhaps you would also. I'm not completely sure, but normally churches like this are of the Dutch Reformed variety - there really is at least one in every town, and they normally stand out like a sore thumb with their tall steeples. When I lived with my parents I remember often waking up on a Sunday morning and hearing the church bells ring, calling the congregation to their gathering. Posted in Landscape and tagged churchs, clouds on Tuesday, 26 July, 2011 by Paul. 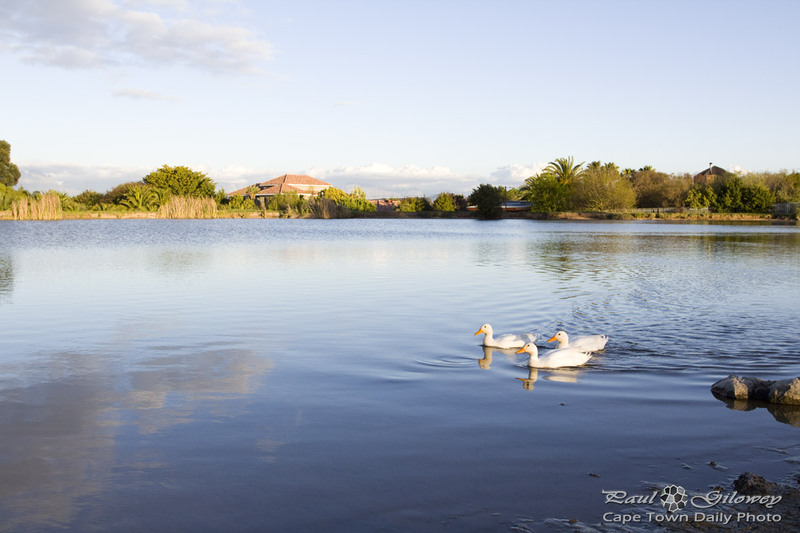 I know that we're not the only country that has such a beautiful countryside - but flip, the Cape can really be pretty and perfectly serene at times. Please see my apology for the delay in daily photos, and my speedy catch-up posts in my previous post. Posted in Landscape and tagged farms, fields, homes on Monday, 25 July, 2011 by Paul. Posted in Landscape and tagged country, green, hill on Sunday, 24 July, 2011 by Paul. One of our readers, a Capetonian and ship's Captain stationed in South East Asia mailed me to say how much he enjoys seeing the photos that remind him of home. 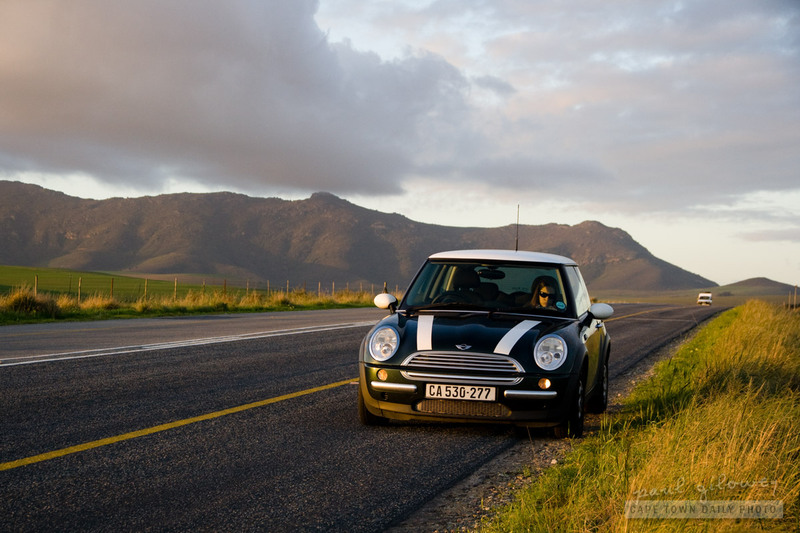 He also mentioned that he'd have preferred my previous photo without the Mini Cooper spoiling the view. I'm curious to know which photo you prefer - this one, or my previous one? Posted in Landscape and tagged fields, mountains, roads on Saturday, 23 July, 2011 by Paul.